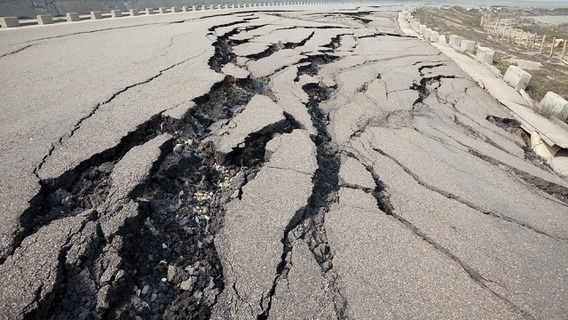 A major incident has caused the residents of Ikara town in Kaduna State, to scamper for safety, following an earth tremor that lasted for several hours. The natural phenomenon is coming close to four months since a similar event occurred in the area. The people of the community are reportedly at the edge of their seats, wondering what will happen next. Suleiman Yakubu, a Kaduna based international radio reporter disclosed that the people living in the community have considered abandoning their homes in a bid to get safety. “Though people have not started fleeing the community, but as I talk to you, there is tension. Everyone is standing outside as the earth is vibrating under their feet." "It started since morning and if it continues like this till evening, people will have no choice than to leave the town to safer places." Honorable Badugu Nehemiah, who is a leader in the community said, “since morning, many people in our villages have been running up and down, because both buildings and the ground have been shaking." "Many churches had to cut short their Sunday service programmes because of the earthquake threat. As I am speaking with you, the ground is still shaking”. The governor of the state, Mallam Nasiru El Rufai, has however called for calm, stating that he has people looking into the matter.